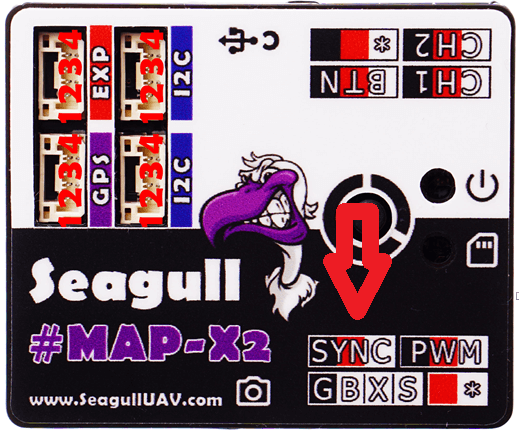 Seagull #SYNC2 – let’s get it running! Below you will find Seagull #SYNC2 support. These sections only cover basic parts from the full manual ! Implementing #SYNC2 via on an Ardupilot based Flight Controller could not be easier, simply follow the below steps as shown in the image and you are ready to go! 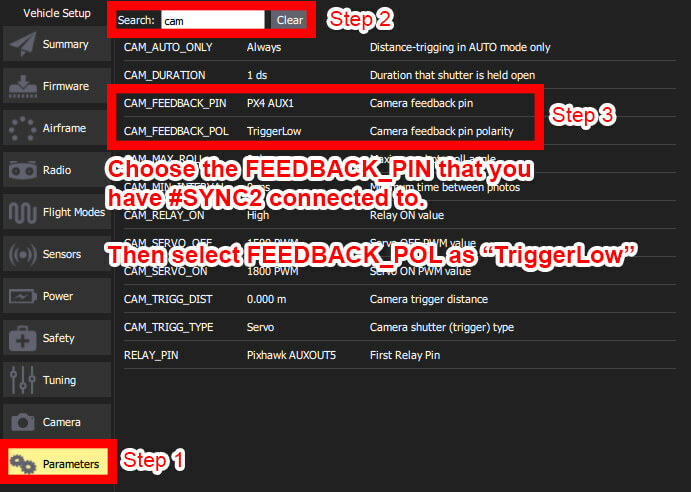 To integrate #SYNC2 with a platform that has PX4 firware on the Flight Controller simply follow the steps below as shown in the image! Connecting #SYNC2 to #MAP-X2 could not be easier, simply follow the color coding of the cable and plug it into the #MAP-X2 SYNC port and voila, you are ready for precision logging! In a case that there is no hotshoe logging, please make sure the settings were adjusted accordingly for your platforms and are enabled. If the logging is still not happening inspect the servo cable for the connectivity and the polarity that it is connected to either of the devices.